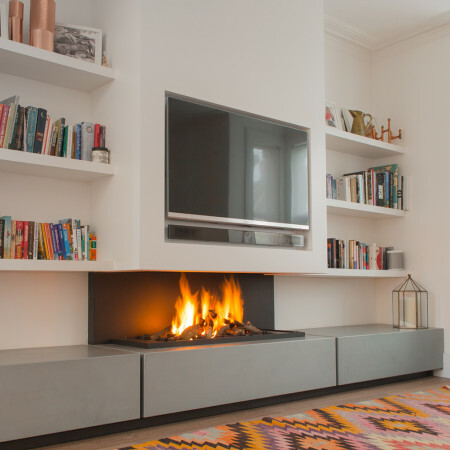 A bold and beautiful wall hung, modern gas fire, the Seno with its steel construction fixed to the wall, seemingly floats elegantly above the floor. 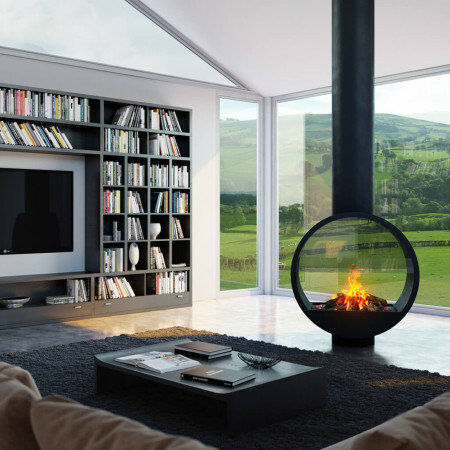 The exposed flue gives the fireplace a raw, contemporary look and the gas fire enclosed behind glass ensures a very high efficiency fire. 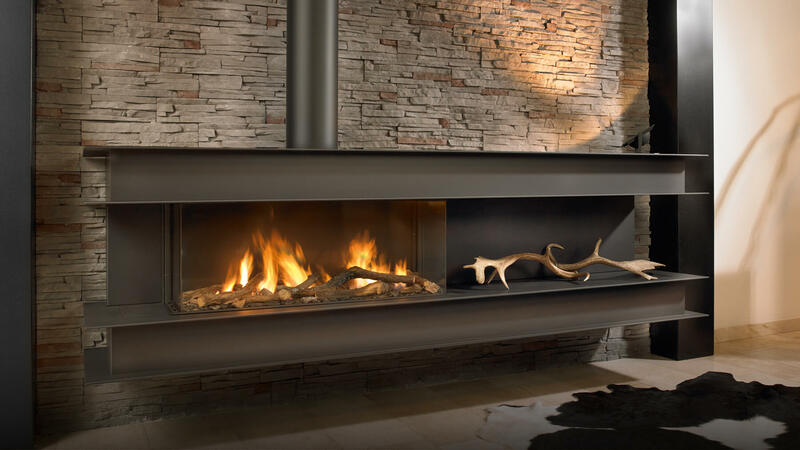 With the luxury of remote control operation, the Seno combines fuel efficient technology with modern, innovative design. 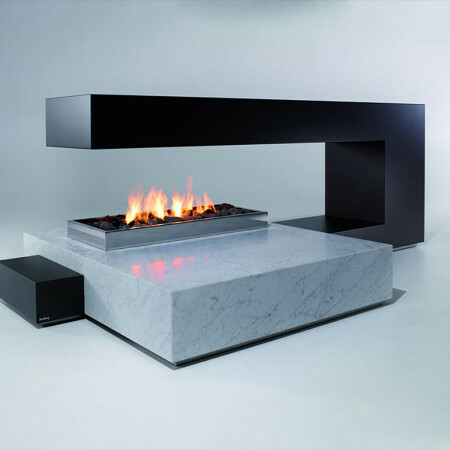 This high efficiency, modern gas fire design at its best with the black steel structure custom made to the clients specification. Speak to a Design Consultant for further insight into this unique design.